BK Mikro Linear System for Broken Tool Detection at Techna-Tool Inc.
BK MIKRO Linear is a broken tool detection system which utilizes a rack and pinion for probing tooling, part features or assembly applications. There are two models available with different strokes: 50mm and 100mm. 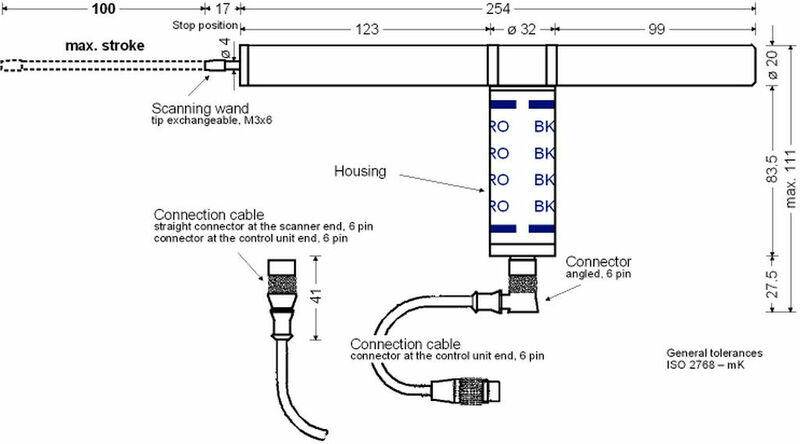 BK Mikro Linear is based on the existing design concepts for tool, object and free space monitoring and is modified to utilize a rack and pinion probe instead of a wand. 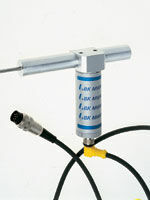 This system monitors a specific distance or depth with longitudinal scanning. This is especially useful in cases where rotary scanning is inappropriate or impossible. Some examples would be cavities, blind or through holes and places where space is limited. It can also be used to verify a part is in place during assembly or that the proper part is on the machine by probing a specific feature. Four checking tolerances when using the "Learn" feature include +/- 0.16mm, 0.5mm, 1mm and 5mm. 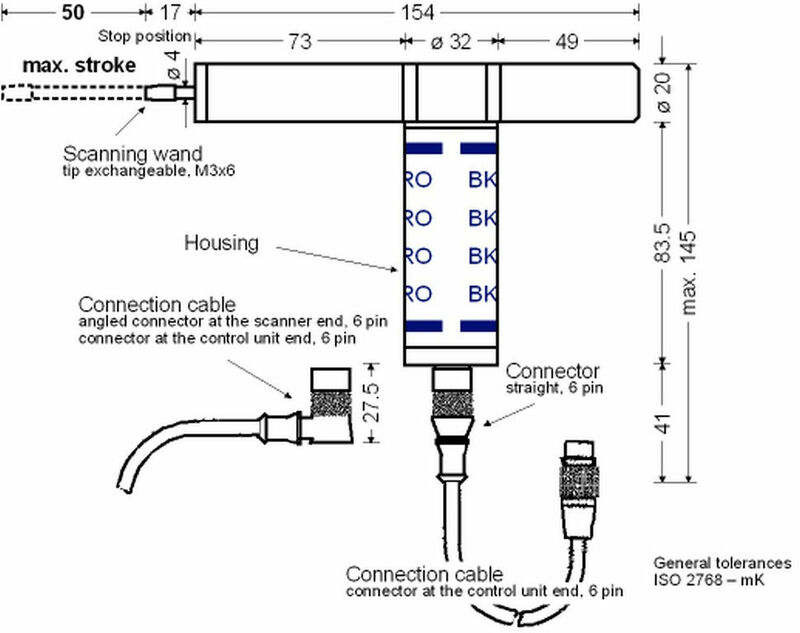 Using the rotary switches set tolerances in increments of 6.25% of stroke. Able to store up to 8 different positions in memory. Fault and OK outputs are Relay Contacts which can be selected to either normally open or normally closed.. Selection 50mm or 100mm stroke depending on scanner. Two settings of controlled acceleration and deceleration..
Internal diagnostics which detect cable breaks.. Mounting options either on motor or barrel..
Once a position is set either with a Teach/Learn or via the rotary switches the system is ready for operation. Simply apply a 24vdc signal to the "Start" terminal to initiate the scanning cycle (this can be done via the CNC, PLC or with a relay). The probe will move to the taught position and verify that the tool or object is present. If everything is alright the unit will output an "OK" signal to allow the machine cycle to continue. If the tool is broken the probe will travel past the stored position and the controller will output a "KO" signal to let the machine know there is a problem and shut down automatically. The checked tolerance can be adjusted via dip switches or the rotary dials. The unit can store up to 8 different positions in memory; they are selected using a binary combination of inputs S1-S3. Standard tip options are available or some customers make their own tips to thread onto the probe.